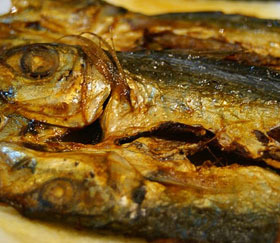 Filipinos love dried fish. Whether big or small, they will definitely have their favorite dried fish. Perfect for breakfast or even for lunch and dinner dried fish or daing are nutritious and very easy to make. You can choose the fish you want to use in making your daing. If you prefer bangus consumption is immediate. However other fishes like galungong or bisugo can be made into daing that you can keep for months. Clean properly your fishes. Slit them into two and scrub salt on the surface. Clean them with running water. Salt is necessary in keeping it clean and free from bacteria. Pat dry your fishes with a clean towel. Sprinkle salt again on all the surfaces. Put them on screen if you have one. Its easier to dry them. Let them dry in the sun until its completely dried. The process could take for days. i apreciate this website cause it show’s the recipe of the daing .